Two Ti-folded Wallet Card set. 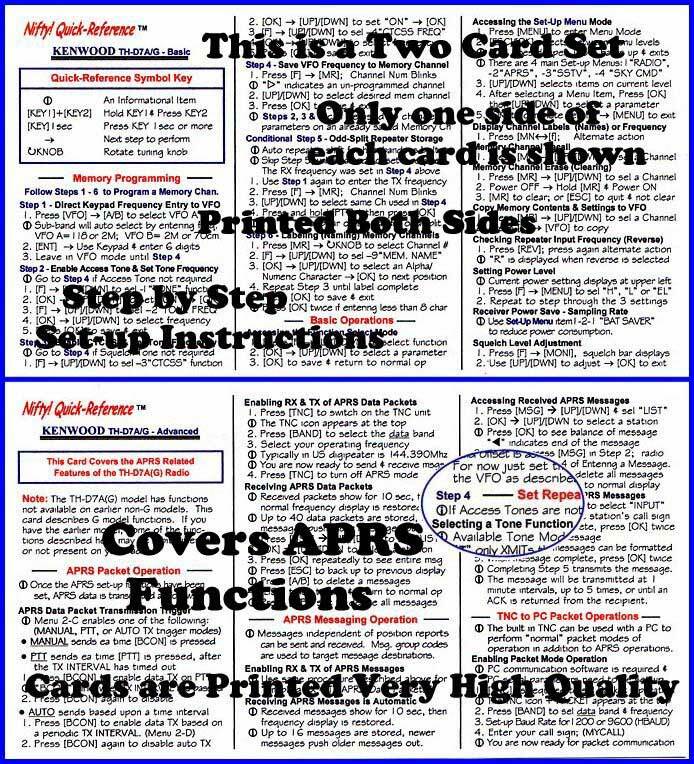 Two laminated three-page foldout quick reference guides, the size of a credit card for easy carrying in a wallet or purse. High quality printing on both sides. This is a two card set, one for Normal Operations and another covering the extended APRS features of this unique radio.